We are very happy to present Pøbel and their first album Lux Luminum. It will be released 2017 05 13 on CD (available for order at www.poebel.dk and here at www.monophon.se), and on all the usual digital music download stores. Streaming release is set to follow in September this year. Pøbel – Lux Luminum monophon ©2017 (MPHFL005). Dressed in historically correct 1470-clothes and armed with shawms, flutes, bagpipes, drums, fiddle, hurdy gurdy and lute, Pøbel bring the audience back in time aided by facts and stories of the instruments and melodies. If granted the opportunity, they will happily put on the dancing shoes. Pøbel is an old Scandinavian word for mob or crowd. 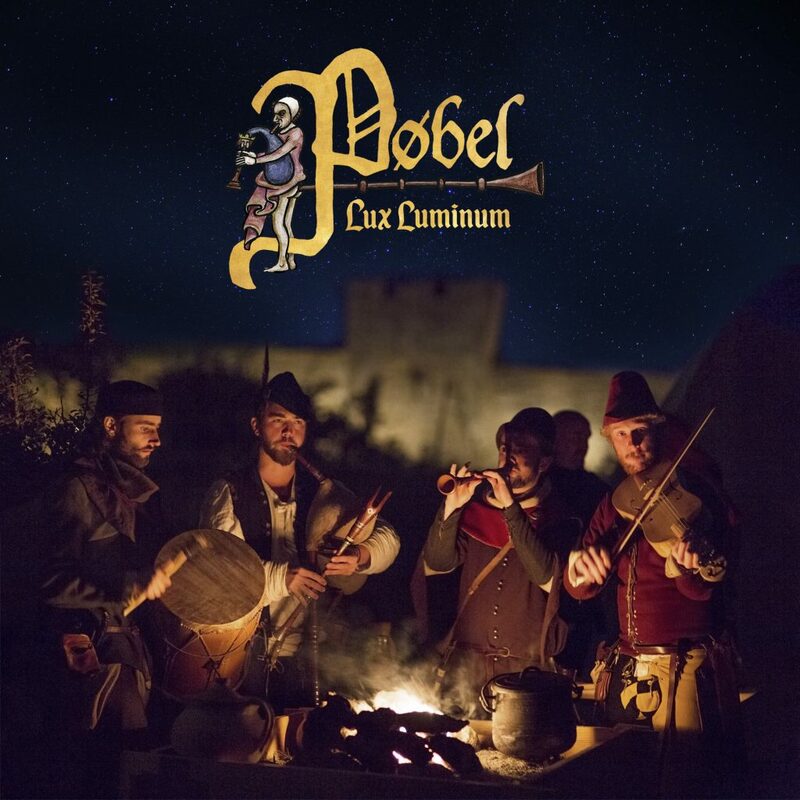 As the name suggests, Pøbel like to focus on the music of the common man – the music that ordinary people could have experienced at the faire or at other festive occasions around medieval Europe. The album Lux Luminum is certainly a good case in point, with it’s colourful parade of folklorical and well-arranged medieval tunes from both Scandinavia and other parts of the World. Oh, and don’t forget to bring your own dancing shoes.